Estoy agradecido a Wermuth’s Greekbook por esta presentación de los verbos indicativos. 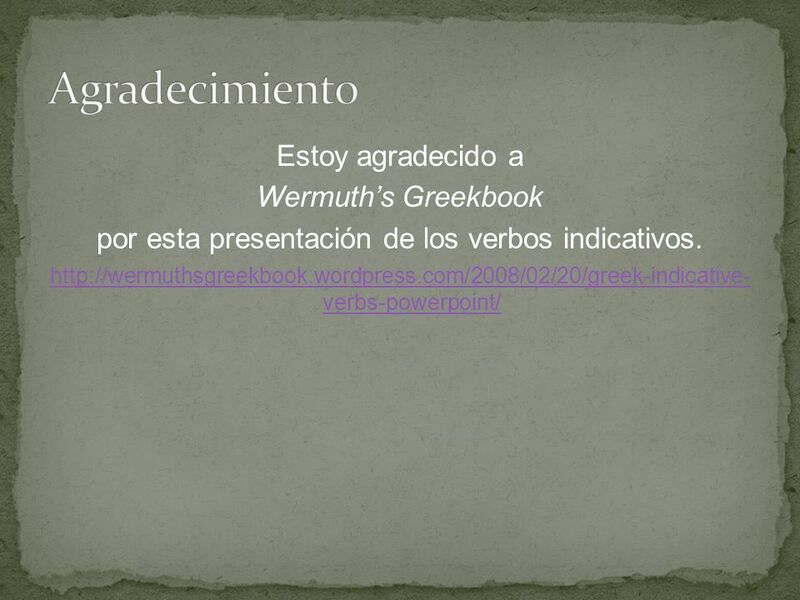 Κατέβασμα ppt "Estoy agradecido a Wermuth’s Greekbook por esta presentación de los verbos indicativos." 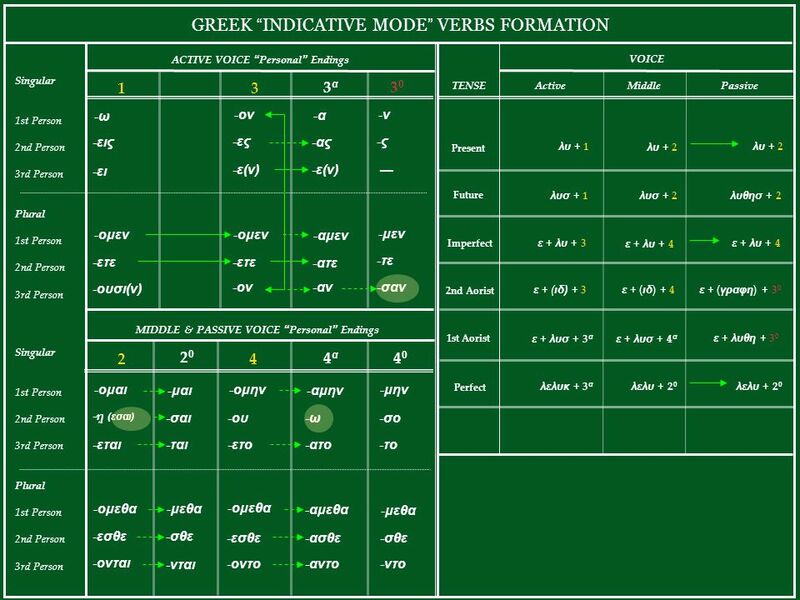 Aorist Tense Mounce, Chapters 22 and 23.. Aorist  Simple past tense (all indicative forms have an augment). 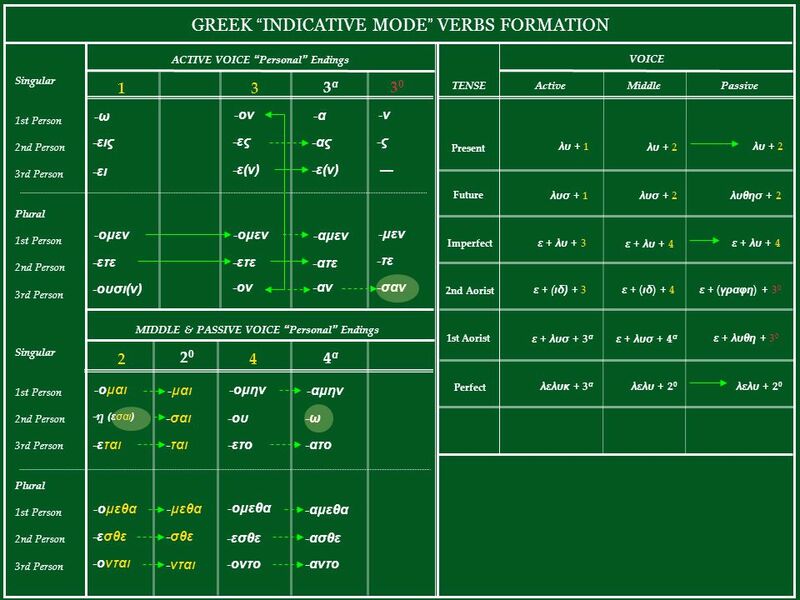  Formed in one of two ways (1 st or 2 nd. 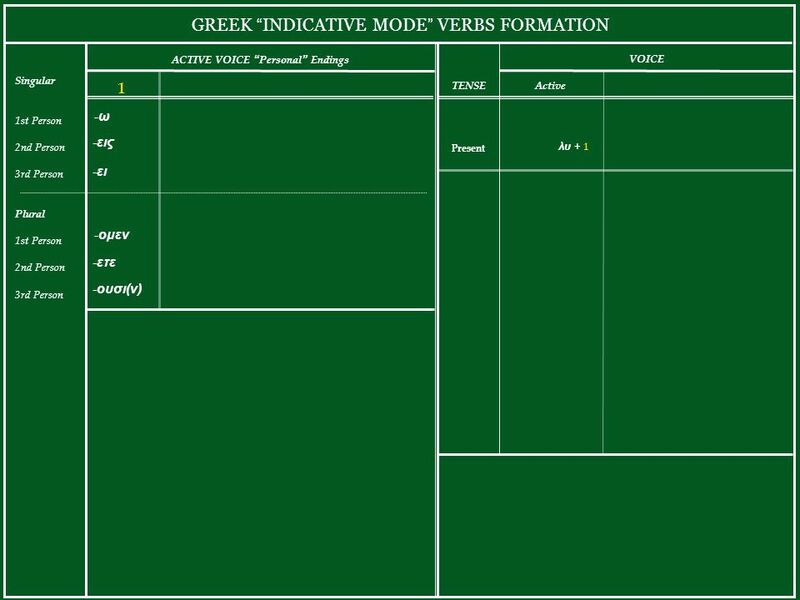 AΩ Summer Greek 2003 Croy Lesson 13. Greek Verbs Who is acting Kind (and with Indic, Time) of action Manner in which action is regarded by subject Relation. 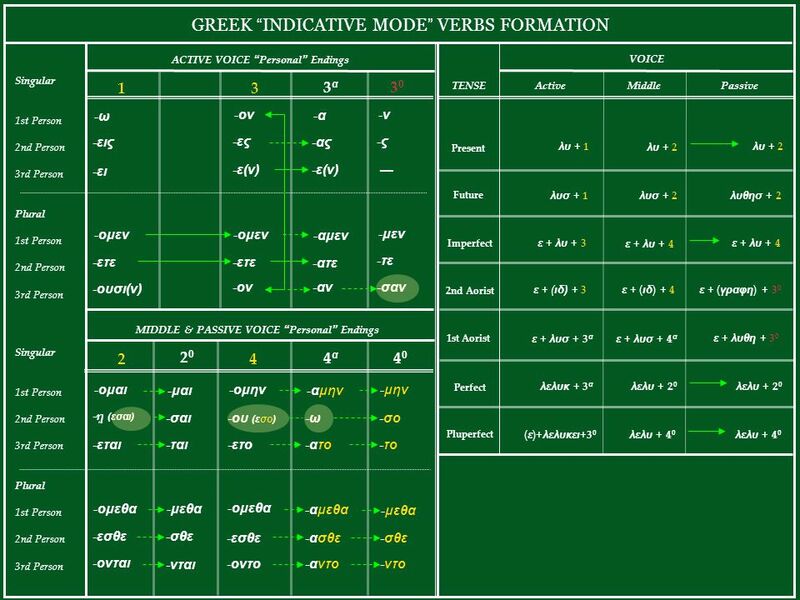 Greek Verbs. 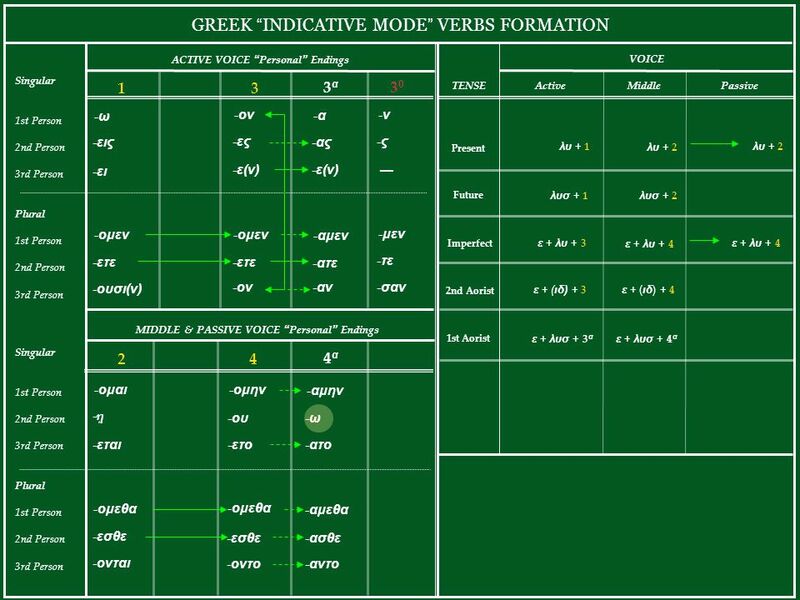 Present Tense The Present Tense is formed from the first principle part of any verb. κελεύω, κελεύσω, ἐκέλευσα, κεκέλευκα, κεκέλευσμαι, ἐκελεύσθην. 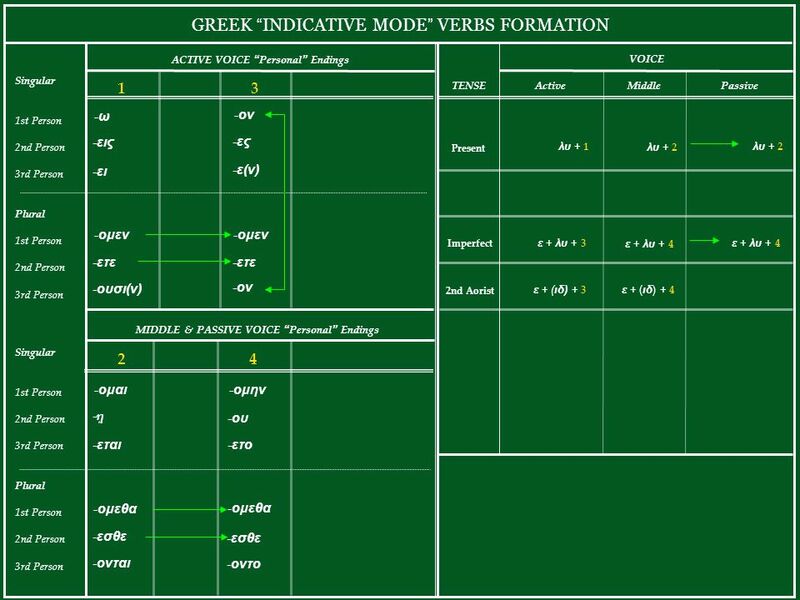 Mounce, Basics of Biblical Greek, chapter 25. Imperfect Tense Mounce, chapter 21. C.W. 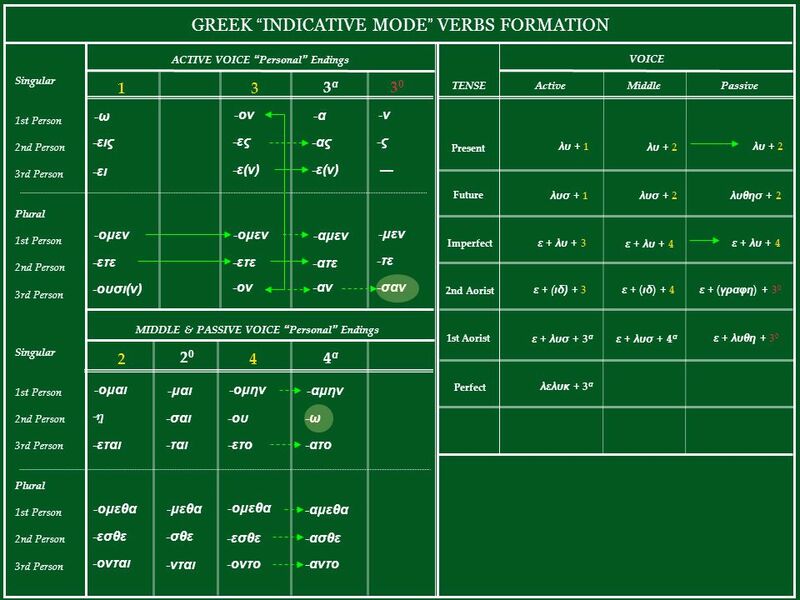 Shelmerdine Introduction to Greek 2 nd edition (Newburyport, MA: Focus, 2008) Chapter 5. Fall Greek 2003 Croy Lesson 19. C.W. Shelmerdine Introduction to Greek 2nd edition (Newburyport, MA: Focus, 2008) Chapter 31. 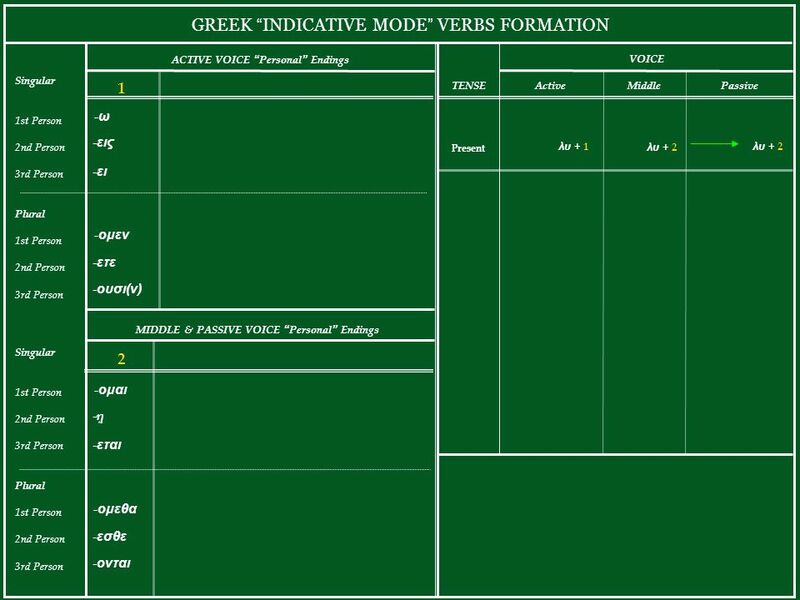 EL SISTEMA VERBAL DEL GREC ANTIC FLEXIÓ VERBAL O CONJUGACIÓ EL PERFET DEPARTAMENT DE FILOLOGIA GREGA UNIVERSITAT DE BARCELONA 12 de DESEMBRE de 2005.